Why do you have to choose between culture and sea when you can conciliate everything in one holiday? For your summer holidays this year choose a house in Castiglioncello and in a easy way you could reach all the main art cities of Tuscany such as Pisa (40 km), Florence (100 km), Lucca (65 km), Siena (105 km), Volterra (40 km) and San Gimignano (65 km). Visit or contact our agency Agenzia Radar to find out all the offers, deals and last minute for villas on the coast, apartments in vacation residence with pool and houses surrounded by the greenery, in front of the sea, where you can spend an unforgettable holiday. You will discover that Pisa, which with its white marbles is reflected in the peaceful waters of the Arno river, meets in a few kilometers the blue of the sea and the green of the pine forest of Castiglioncello, for a perfect holiday in Tuscany. 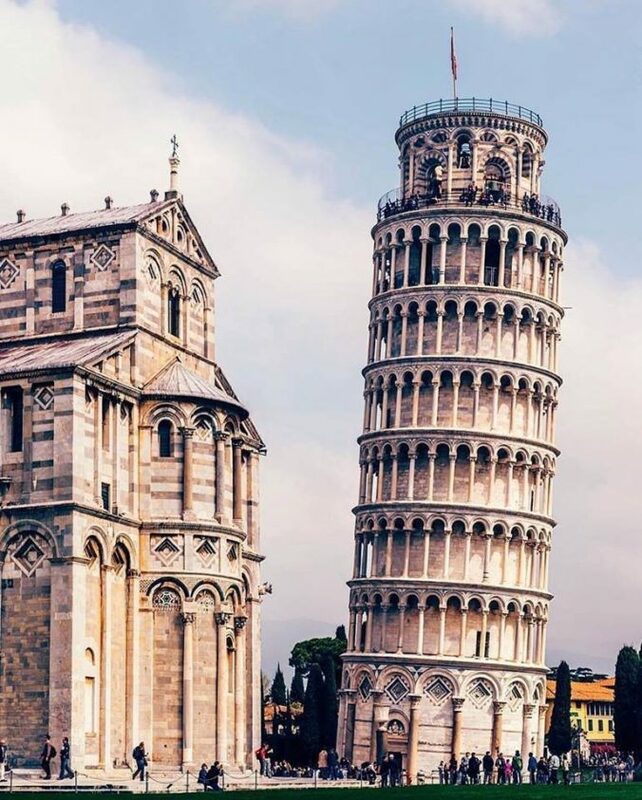 Just a few miles from the famous Leaning Tower you will enjoy a splendid stay on the coast. You could tast the flavors of the sea and you could let cuddle with its noises. You would relax yourself but without getting too far from far art, culture, museums, entertainment and folkloristic events of the Tuscan hinterland. Just take a train in the direction of Florence to admire the beauty of Botticelli’s Venus, the imposing David of Michelangelo and the majesty of Giotto’s bell tower. In few hours you can walk under the medieval arches of Volterra. Within seconds , you will be in the famous “Piazza del Campo” in Siena, or stroll along the ancient walls of Lucca. 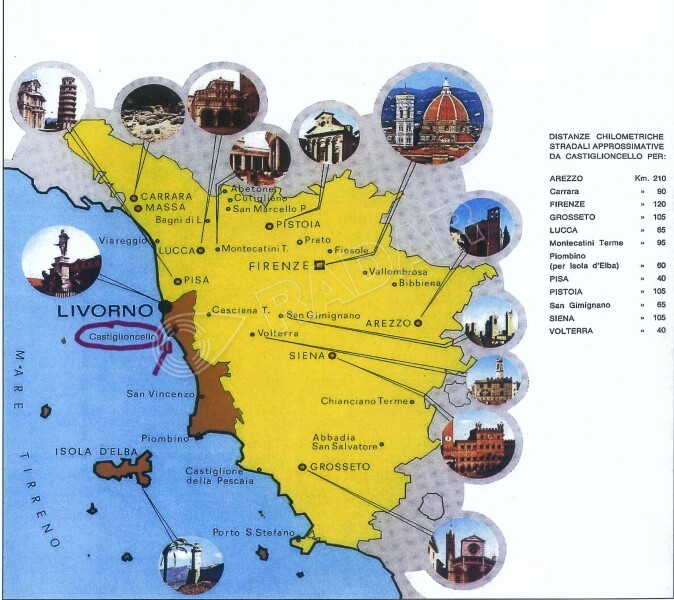 You will find that your house in Castiglioncello, right on the Etruscans’ coast, is right in the center of all the major attractions that Tuscany can offer. But when it will be too hot and your knees will begin to be tired you will just need to go back to the sea, towards your holiday home in Castiglioncello, you will just have to see the sea and you will soon feel regenerated, ready for other experiences in Tuscany. Castiglioncello is the perfect base from which to travel to the hinterland. Choose the vacation home you prefer and devote yourself to you. Excursions, organized tours, walks and adventures to discover the local flavors, the characteristic smells that come to life from the encounter between the smells of Mediterranean scrub, Etruscan history and salty sea smell. Do not miss the occasion of a refreshing bath or an aperitif at the seaside after an intense and extraordinary day. Let the noise of the waves crashing on the rocks inebriate your thoughts and let yourself be cuddled by the tinkling of shells on the beach at sunset. Book your holidays at our agency in Castiglioncello, let the Etruscans’ coast conquests you and you will no longer change your destination for summer holidays because everything you are looking for you will find it here. Castiglioncello is waiting for you, do not wait!